“It’s pragmatic to be optimistic. There is historical evidence for the fact that when people act, persist, get together, organize, they bring about changes ” That what the great Howard Zinn, said in one of his best interviews; In fact, in this interview with the Institute of International Studies of Berkeley University, he talked about his life and his views and it should be read over and over. 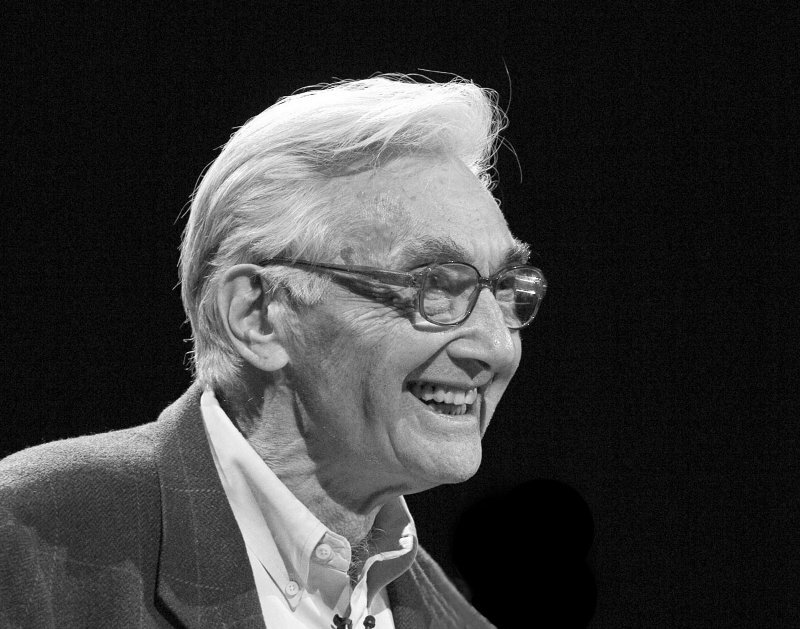 The great Howard Zinn, 87, died last year, on 27 January, 2010. He was a real intellectual and showed us that the lunatic left and the rotten brains are fake intellects. Here are excerpts of this great interview: “My parents were not political people at all. My parents were just ordinary. They were Jewish immigrants who worked in garment factories when they came here, and then my father became a waiter … My mother working very hard, raising four sons. And yet, of course, they had nothing to show for it. That is, they were perfect counterpoints to the Horatio Alger myth that if you work hard in this country, you will get somewhere. I think that intensified my feeling about the injustice of an economic system in which there are people all over the country like my parents who work very, very hard and have nothing to show for it … My parents knew I was a reader even though they were not readers. My father was barely literate, my mother was somewhat literate. But they knew that I was interested in books and reading. They had no idea who Charles Dickens was, but they saw an ad, they could send away coupons and a dime for each book. So they got me the whole set of Dickens and I made my way through Dickens … Yes, it was Dickens’ class consciousness that reinforced my own. Yes; it told me, what reading very often does for you, tells you you are not alone in these secret thoughts you have. Not long ago I read that someone asked Kurt Vonnegut, “Why do you write?” and he said, “The reason I write is to tell people: You are not alone.” … By the time I went to college under the GI Bill at the age of 27, I’d already worked in the shipyard, I’d been in a war, I’d worked at various jobs, and so I brought to my reading of history those experiences. And then I learned from my experience something broader, that is, a historical perspective which reinforced the ideas that I’d gained from my own life … At the age of 17, I was hit by a policeman and knocked unconscious. I woke up and said, my God, this is America, where, yes there are bad guys and there are good guys, but the government is neutral. And when I saw that, no, the police are not neutral, the government is not neutral, that was a radical insight. … The seven years at Spelman College are probably the most interesting, exciting, most educational years for me. I learned more from my students than my students learned from me. Living in the South at a very interesting time, the late fifties, early sixties, just before the onset of the big Civil Rights Movement, and then during those years, the early sixties, I learned so much. For one thing, I began to look at history in a different way. I began to look at history from a black point of view. It looks very different from a black point of view. The heroes are different, and the eras get different names. The Progressive Era is no longer the Progressive Era, because it’s the era in which more black people are lynched than in any other period in American history. I began reading black historians, things that weren’t on my reading list right up in graduate school, Columbia University … Democracy comes alive not when government does anything, because government cannot be depended on to rectify serious injustices. It comes alive when people organize and do something about it. The Southern black movement taught me that. … I’m convinced of the uncertainty of history, of the possibility of surprise, of the importance of human action in changing what looks unchangeable … You have to understand that I enlisted in the Air Force. I volunteered. I was an enthusiastic bombardier. To me it was very simple: it was a war against fascism. They were the bad guys, we were the good guys. One of the things I learned from that experience was that when you start off with them being the bad guys and you being the good guys, once you’ve made that one decision, you don’t have to think anymore, if you’re in the military. From that point on, anything goes. From that point on, you’re capable of anything, even atrocities. Because you’ve made a decision a long time ago that you’re on the right side. You don’t keep questioning … I suddenly saw what the bomb in Hiroshima did. I began to rethink the whole question of a “good war ” I came to the conclusion that there is no such thing as a good war. They may start off with good intentions, at least on the part of the people who fight in them … But those good intentions are quickly corrupted. The good guys become the bad guys. So I became convinced that war is not a solution, fundamentally, for any serious problem. Such a great man!, Such a great man! He was really a great man! He is alive in our heart. Matt Damon said that when Howard Zinn had the heart attack in the swimming pool in Santa Monica, the person who attended to him asked, “Do you need an ambulance?” And Zinn said, “No, I’m OK,” and then, said Damon, “he closed his eyes.” Zinn’s friends said he died “swimming laps”. And Zinn’s daughter, Myla Kabat-Zinn said: “ My dad never swam a lap in his life!”. She also told the story of The New York Times calling him up several months before he died and explaining that the paper had a custom of preparing obituaries for people while they were still alive. Without skipping a beat, Zinn said: “What’s your deadline? !” Matt Damon’s mother, Nancy Carlsson-Paige, longtime neighbor of the Zinn said: ” Howard Zinn taught us that you can do everything to fight for freedom and justice, and you still make people laugh. You bring joy and justice into every moment ” And that’s the reality of the great Howard Zinn. Such a great man! Such a great and free human man! Just compare him with the lunatic lefts, for instance Noam Chomsky; the result is so clear. You are currently browsing the News About Iran blog archives for the day Wednesday, March 30th, 2011.